In her book Expect the Best – Your Guide to Healthy Eating Before, During and After Pregnancy, Elizabeth M. Ward, M.S., R.D. offers sound, practical advice for pregnant moms, new moms and even women thinking of becoming moms on how to eat to support a healthy pregnancy. 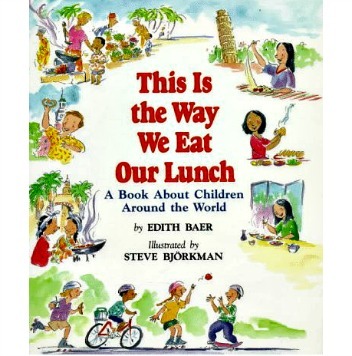 Like the title suggests, Elizabeth gives clear, concise counsel on what to eat before, during and after pregnancy – and an entire section of delicious, simple recipes the whole family will enjoy. Each chapter is well-organized, easy-to-read and will be a reference that all moms (and dads!) will turn to at each stage of pregnancy. 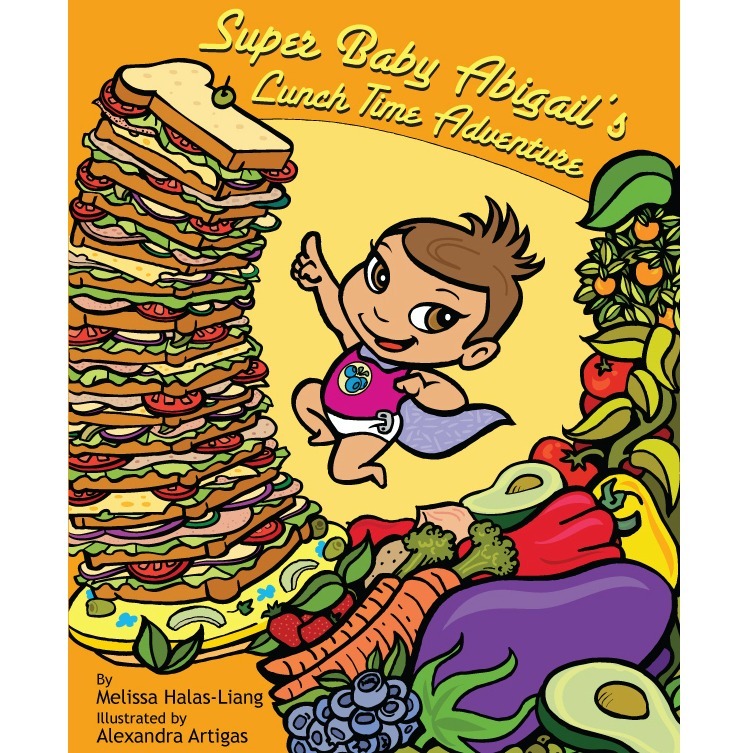 Super Kids Nutrition talked with Elizabeth about her new book and good nutrition choices for both moms-to-be and new moms. Your book clearly outlines what constitutes good nutrition at each stage of pregnancy, including pre-conception and postpartum. What inspired you to write a book on this subject? As a registered dietitian and the mother of three, I am passionate about helping women eat right to have the healthiest baby possible. Expect the Best – Your Guide to Healthy Eating Before, During and After Pregnancy is actually my second pregnancy book in ten years. A lot has changed, and I wanted to write a book with all the latest diet and lifestyle advice that accounted for preconception nutrition, too. A woman’s eating habits prior to conception are so important. What are your top 5 tips for women who are looking to conceive within the year? Achieve and maintain a healthy weight by eating a balanced diet. A healthy body weight at conception helps you to have the healthiest baby possible. Every day, take a multivitamin with 400 micrograms of folic acid and 100% or less of a wide variety of nutrients, including iron. A daily multivitamin fills in small nutrient gaps that affect your health, and your future child’s. Do not consume more than 10,000 International Units (IU) of vitamin A; excessive amounts are associated with birth defects. Curb caffeine. The new recommendations are for 200 milligrams a day or less, about the amount found in 16 ounces of regular coffee – a supermarket brand you’d make at home. Read more about caffeine and pregnancy. When you’re ready to start trying to conceive, stop drinking alcohol. Drinking can lengthen the time to conception. Plus, you may not know that you have conceived, so it’s best to play it safe. Have a thorough check-up and get a blood test that assesses your iron levels, cholesterol levels, and fasting blood glucose levels. That way, you know if you need to correct a health problem before you try for a baby. You make sure to include the dads in your book. What’s important for men to know about their eating habits during the months leading to conception? How can their eating habits help their chances of conceiving? It’s important for potential dads to know that their contribution to baby-making does not begin and end at conception. To increase their fertility, men should achieve and maintain a healthy weight by following a balanced diet and limiting alcohol intake. They should also take a daily multivitamin for the folic acid and vitamin C needed to make healthy sperm, examine all the prescription and over-the-counter drugs they take for possible problems and stop smoking. Dad’s health habits can make a difference. As a mother of three children, what were your success strategies for healthy weight gain during your pregnancies? When and how did you get started on getting back into shape? During my three pregnancies, I ate a balanced diet as much as possible, which was tough because of the morning sickness. I took a prenatal multivitamin and mineral supplement every day, and I exercised throughout my pregnancies. As soon as my doctor gave me the OK, I began walking then gradually got back to running and weight training at the gym. Getting back in shape takes time because of all the demands that are being made on your time and your body (for recovery and if you are nursing) and because of sleep deprivation. I advise women to expect that getting back in shape will take 6 months to a year. What are three great pregnancy snacks for moms-to-be on the go? In your book, Expect the Best – Your Guide to Healthy Eating Before, During and After Pregnancy, you talk about how a mother’s eating habits can affect the future health of her child. What health problems are linked to eating foods poor in nutritional quality during pregnancy and what can a mom-to-be do to prevent these health problems? The biggest challenge is getting the right number of calories to gain the prescribed amount of weight during pregnancy, and working within that calorie limit to get all the servings you need from each of the food groups. I explain exactly how to do that in the book. As far as health problems go, a shortage of folic acid and iron are the major problems. The other problems include drinking alcohol and possibly getting too much caffeine. You speak about the “Fourth Trimester” in Expect the Best. Could you explain to our readers what you mean by this? Also, what advice would you give new mothers to maximize their nutrition during what can be a very exhausting time? The “Fourth Trimester” is the three months after giving birth. You’re elated, exhausted, and trying to maintain some semblance of normalcy in spite of the fact that you are trying to recover from pregnancy, nursing a newborn — and doing it all without nearly enough sleep. The best strategy is to eat a balanced diet, taking a multivitamin, and to work in physical activity when you can, after your doctor says it’s OK.
What are 5 steps that you could give to new moms who want to start losing their “baby weight” but have to go back to work shortly after they give birth? It took me nine months to get the weight off after my third child and I went back to work after a 4-month maternity leave. I actually think being out of the house helps with weight control because you’re not around food all day. I suggest that women make an effort to lose weight, but slowly. Move around as much as possible at work and at home, taking the stairs whenever possible, etc. If possible, carve out a half hour of activity, such as a yoga or pilates DVD at home. If you can’t do 30 continuous minutes of activity, break it up into three 10-minute blocks during the day. How can moms, facing post-partum exhaustion, eat healthfully when they’re too tired to cook after a sleepless night? Start with having healthy ingredients on hand, so your husband, friend, or mom can shop for what you need! I have tons on tips for 5-minute meals in the book. What type of cravings did you have during pregnancy? What advice would you give to pregnant mothers who are experiencing cravings? I craved French fries and meat during my first two pregnancies. During my third, it was anything fruity. My advice is to never let yourself get too hungry because at that point, it’s very difficult to say no when a donut or a brownie sundae is calling your name! Also, indulge yourself once in a while – pregnancy is not a prison! Have fun, but don’t go overboard. If you could think of the single, best piece of advice for a pregnant mom, what would it be? Elizabeth Ward, MS, RD is a registered dietitian, freelance writer and mother of three. Her latest book is Expect the Best, Your Guide to Healthy Eating Before, During, & After Pregnancy. She is also the author of several other books, including The Complete Idiot’s Guide to Feeding Your Baby and Toddler, The Pocket Idiot’s Guide to the New Food Pyramids, and Pregnancy Nutrition: Good Health for You and Your Baby, and the co-author of Super Nutrition After 50 and Live Longer & Better. Learn more about Elizabeth by reading our interview with her on secrets to healthy eating.